Condition: Brand new Color: Black Fits on handguns, rifles and shotguns Protects against unauthorized use and child tampering No keys to lose. Manufacture: NcSTAR. 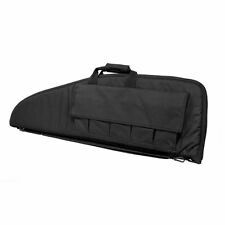 This NcSTAR rifle case is perfect for hunting and any other mission. The shooter's mat is compact but large enough to provide maximum comfort and performance. We are a nationwide provider of airsoft guns, accessories, and gear to airsoft enthusiasts all over the country. However problems do happen. Products may be sold out, or on back order. Manufacturer Part Number 6451SC-1. It says it all. Smith & Wesson Box Model 18 Revolver .22 Box with manual, lock keys, paper. Condition is Used. Shipped with USPS Priority Mail. Only the premium series keyed alike locks will be available for the future. Secure your bottom line with "The Club Gun Trigger Locks". Glocks have a wider than normal trigger guard. They work but must be squeezed very snug. ZØRE X™ is the world's fastest way to go from a locked firearm to disengaging, chambering a round and firing. Only the premium series keyed alike locks will be available for the future. 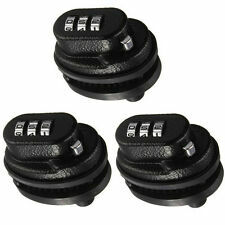 Secure your bottom line with "The Club Gun Trigger Locks". NOT California approved. (we have cables that are CA approved and we are not aware of any trigger locks that are CA approved. ). 50 Temporary transport Gun Locks. Pre-Owned hard plastic orginal genuine Ruger case for Ruger GP100 Revolver. This appears to be from 1998. 2 Stainless Steel Gun Rack. Made of stainless steel, durable and corrosion resistant. Material: Stainless Steel. The opening of the hangers is about 1 3/4~ 2", which is suitable for most rifles and shotguns. 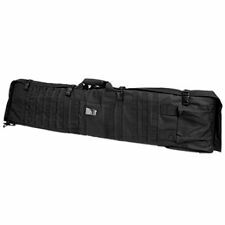 Renegade Ridge / Crooked Horn Outfitters 36” tactical rifle gun case. 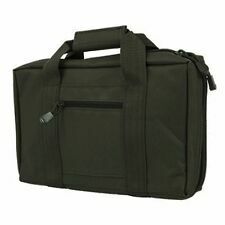 Fast access, can be attached to the back of a truck or car seat. Accessories pouch for magazines. Made in USA. Quality product. EL008 WATERPROOF CASE. 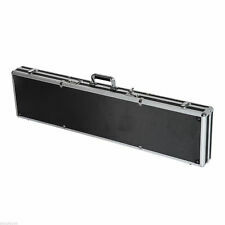 Waterproof Gun Case, Pistol Case, Handgun case. 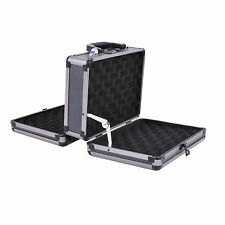 Baggage Allowance Elephant EliteEL008 Gun Case With Pre-Cubed Foam. Chemical, Corrosion and UV Resistant. Waterproof IP67, Dust-Proof, Padlockable. 10 x Trigger Lock. Special cushion pads protect gun's finish from marring or scratching. 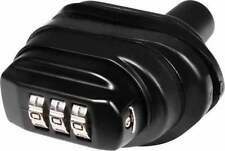 Added convenience of a keyless resettable combination. Fits most handguns, rifles, shotguns and sporting rifles. This CUSTOM-CUT foam insert will fit your gun like a GLOVE and make your Apache 2800 case the perfect GO BOX! It will fit your COLT 1911 with 7-round or 8-round magazines. As-is - see photos. Fits on handguns, rifles and shotguns. 7x Key Gun Lock Trigger. Protects against unauthorized use and child tampering. Color: Black. Aim Sports M-Lock Free Float 15" Handguard Custom Scratch Resistance, Heat Treated Cerakoted With H-267 Magpul Flat Dark Earth Finish. This Handguard made in USA By Aim Sports, have been build with ergonomic design, sleek, with build in anti rotation indexing, lightweight, rock solid installation and hot looking. Hornady 98180. 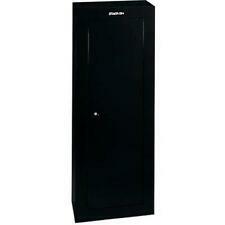 This safe mounts either horizontally or vertically to walls, closets, or even behind doors. The shotgun wall safe encompasses the main portion of the shotgun receivers to ensure that the firearm cannot be tampered with. FEATURES: Universal fit. All locks already preseted 5 digit combination password (not able to reset your own password) without using key to open and able to opened the lock by touching/pressing digit button in dark place. Plastic Trigger Lock with Key. Zore X Core 9×19 gun lock.. the latest gun lock system in the market. ZORE X is a chamber lock designed primarily for prevention of child and other unauthorized access to firearms. ZORE X’s revolutionary combination dial is designed to allow quick unlocking under any circumstances, even in zero visibility. 25 Temporary transport Gun Locks. PRO-GARD GUN RACK IN GOOD USED CONDITION. WEAR TEAR ASSOCIATED WITH FLEET SERVICE. Use this vertical barrel grabber to store your shotgun in a closet or next to your bed. This item will not hold the gun off the ground but gives a stable resting place for easy access to your gun when needed. Simply push the barrel into the grabber to hold and gently pull to release. The grabber is rubber so it will not scratch. Mounting screws are included. Just pop out the pins holding the rubber grabber to install. Fits most shotgun models. These rimfire chamber flag are designed for AR's and Long Rifle with durability and functionality. 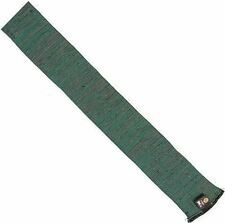 rimfire safety flag are a must have personal flare while you are visually indicating that the weapon is clear. With IDENTILOCK for 1911-A1, be confident that your firearm is safe and out of reach of children but also ready to protect you and your family from any harm. ABOUT IDENTILOCK. Note: IDENTILOCK 1911-A1 does not fit Springfield 1911 TRP. Rubber pads shield gun from scratching. 4 pin tumbler cylinder. Steel and zinc body. After testing and analysis, all decisions concerning defectiveness are final. The first step is to obtain an RMA number. Added convenience of a keyless resettable combination. 5x Trigger Lock. Feature: keyless. Special cushion pads protect gun's finish from marring or scratching. Material: Durable steel. Easy to install and set. EIGHT (8) TRIGGER LOCKS "ALL KEYED ALIKE"
The key is not required for the lock to operate, it would need power run to it with a switch to open/ send power to the unit. We strive to describe every item to the best of our ability. PUT YOUR COLLECTION ON LOCK DOWN! - You get a scratch-free vinyl coated lock that lets you secure almost ANY handgun, pistol, shotgun or rifle! Even your antiques! GET THE BEST LOCK FOR CHILD GUN SAFETY! Smith And Wesson Model 19 Box Late 1970s ! Pelican Case, Tan, 1170, With foam.